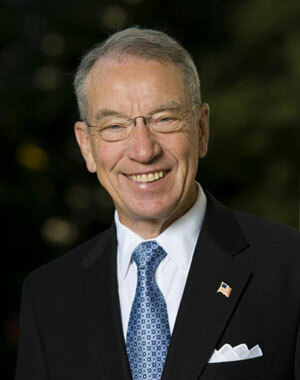 Iowa Senator Chuck Grassley calls the continued closures of rural hospitals “a tragedy” and he hopes to introduce legislation today that aims to preserve those institutions that remain. Grassley, a Republican, says Medicare requires hospitals to maintain a certain number of inpatient beds, which he says is too restrictive and the rules are forcing many smaller facilities to permanently close their doors. The bill wouldn’t force any new requirements on hospitals, Grassley says, it would just offer them new options. He says there would have to be some protocols in place however, like being able to rapidly move a patient to a larger hospital elsewhere which offers more services. “Sixty percent of trauma deaths in our country occur in rural areas where only 15% of the population lives,” Grassley says. In addition to this measure, Grassley plans to offer four more health care-related bills on Wednesday, measures covering issues like: physical therapy in Medicare, financial trusts for people with disabilities, community-based independence for seniors on Medicare, and quality care for mothers and children on Medicaid.